There are many people who wonder what is night auditor or who is night auditor or what is the definition of night auditor. Night auditor is a person or a team works mainly at night at the reception of the hotel and holds the duties of both the front desk officer and accountant. Depending on the hotel, the duties and responsibilities of the night auditor increase. In a big hotel, a night auditing process is done by a team, as there are a lot of things to do simultaneously on a larger scale. While in case of small lodges, a single person holds all duties of a night auditor. The working hours of a night auditor starts when one hotel day shift close and goes for 7-8 hours till morning. A night auditor has to make a number of reports which functions as opening reports for the start of next day, as these reports contain all accounts data, with proper identifications. 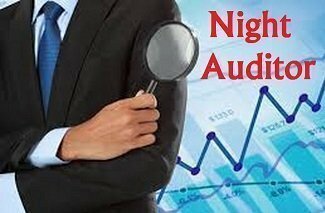 Night auditor’s job is a strenuous activity which requires the presence of mind, concentration, good customer skills, management experience and multi-tasking. Night audit team holds the crucially important function of the hotel, as it has to merge and manage whole day’s accounts data, housekeeping status, post charges, guest folios, and all other operational data of the hotel. In hotel industry, the payments are made through accounts-receivable method, in which the guest avails all required hotel services with a signature, and this receipt is added to the final guest folio. The authentication process for accounts receivable is done on daily basis, at nights, and is done by its night audit team. Thus, this team has to compile a series of data in the form of a report, which includes guest folios, and balance of collective accounts receivable. Hotel industry is 24/7 running business, but there must be some point in these 24 hours, where day closure must be marked. So in hotels, this closing time is mostly set between 2:00 A.M and 4:00 A.M. Day shift timings closed way before this time, so the night audit team basically takes charge and combine complete report for the day. The report presented by the night auditor helps all departments’ managerial team in policy and decision-making and is the most awaited piece for the next day. Night auditor team mainly consists of night audit manager and it’s two assistant. In large hotels, where business keeps on running regardless of the time of the day, cashier and guest service agents may also be present in the night. As their presence give relief to night auditors to complete their own task without interruption. While in small hotels, the night audit work is done by a single person, who manages all the front desk and audit tasks single handily. These includes job of the guest-service agent, telephone operator, cashier, auditor, and emergency handler. All the guests are provided with his number, as to call in case of any sort of emergencies in the night, and the night auditor also remains in constant contact, with the security guard. Verification and authentication of total hotel transactions, at the end of the day. Night manager at front desk, and performs all the supposed responsibilities as in front desk officer. Compilation of statistical data in the form of one report. In big hotels, the senior audit member serve as the manager on duty (MOD), who cater all the emergencies, or issues posed by the guest or the security concerns and then inform helping staff such as engineers, plumbers, or housekeeping, depending upon the problem. As there is no closing time for the hotel, so any time of night selected by the management for the closure of their day’s accounts, is called as closeout hour. The night audit team compiles all the record of that day till closeout hour and prepare the report. The work shift for the night audit team starts between 11:00 P.M and midnight. Work duration of night audit crew is 8 hours, as it ends in the morning at 7:00 A.M or an hour later, but the compiled report from this team, is a must have in the morning to start next working day of the hotel. Thus, if the night audit team haven’t completed their assigned tasks in their work timings, then the night auditor remain on the job, regardless of the timings, until the final report is presented. Night auditor, as a single person or team works under front office department. Night auditor works independently at night and remains in constant contact with the night lobby manager in case of any administrative proceedings. Night auditors have to work with the front office desk cashier and cashiers of other services departments, where hotel revenue is generated, to compile all finances in his report. Cashiers from all departments are responsible to answer all demands and requirements of the night auditor with clear explanation. It is night auditor’s duty to be ensure about the transparency of all transactions, and proper management by the cashiers. Thus, he holds the authority to call cashier anytime for clarification of transactions or to answer about any missing checks. The night auditor reports to the income accountant with all proceedings of the previous day. And the income accountant is responsible for all the balance between the services used by the users and income received to the hotel account. 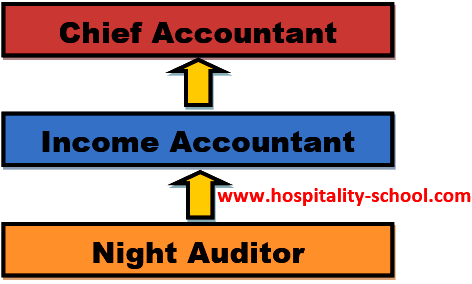 Night Auditor reports to Income accountant, who receives the night audit report and the final report is presented to the chief accountant of hotel. Many one wonders, how much does a night auditor at a hotel make? On average, night auditor’s salary is $ 10.45 for an hour. 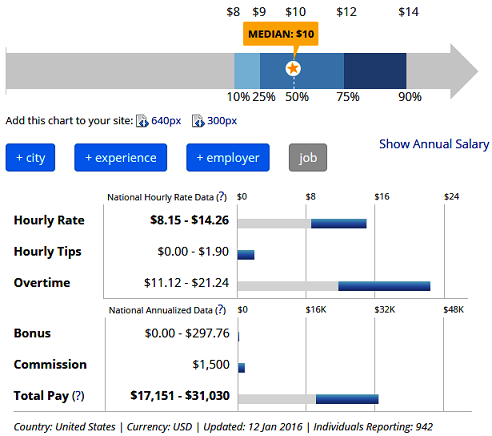 The pay rates go from $8.15 to $14.26 for an hour, depending on the hotel and services provided to the staff. In United States, national average salary of a night auditor per year is $22,005. The number varies according to the years of experiences and educational qualification. Compilation of cash and credit transactions of the day. Interpretation of performance of all revenue generating departments. Correction of wrong postings done by the cashier, if any. Compilation of statistics of all revenue departments. Preparation of cash deposit receipts. Confirmation of no-show rooms and setting to available rooms list. Preparation of rooms status list. Submission of correct balance report to the management for new policy generation. First task is by the night auditor at the end of the day, is the correction and verification of cash/ credit sales from all revenue generating centers. These centers include food bars and restaurants, beauty salons, spas, flower shop, health clubs, room service, banquets, outside caterings, pastry shops, and business centers. Collection of sales data is done after closure of all outlets for that day, but in case of food center the closing time may prolong till 3 A.M in the night, So in this case the night auditor complete this outlet’s report after closing of the bar for that day. The compiled statistical data is useful for the management to look into the department where changes are needed. The other most important task done by the night auditor is the generation of guest folios. All charging made by guest’s accounts must be posted on the guest folio, and reviewing all these postings or correction must be made by the night auditor. While in case of cash payments night auditor has to check all the receipts of cash received, and in case of any missing check he can call the cashier or manager any time of the night. Other service charges such as internet, fax, telephone or in-house entertainment bills are automatically uploaded at front desk accounting system. By this night auditor’s work to tally the postings has become easy, as back in days it was done manually. Night audit is compulsory in hotel as it functions as it provides wholesome report on hotel finances, reservations, and daily transactions. Night audit team not only helps on front desk in generating guest folios during date rollover, but also update housekeeping status, and keep up with the hotel security in night. Night audit procedure tracks down all financial activity of the guest for the day through payments and departmental receipts. This team also deliver report on available rooms, occupied rooms, all day check-ins, check-outs, reservation cancellation, or no show by the guests, along with the method of payment for room rent and other hotel services. Thus the reviewing of this night audit team is the key to progress and success in the hotel business, as it provides hotel’s daily finances, guests interests, and helps in making new policies by the management. Night audit process is a crucial and important task which needs a lot of responsibility and concentration for completion in time. There are a number of jobs that night auditor of a hotel has to do. Posting of room charges has been strenuous task when electronic system was not introduced. But now the electronic room charge posting has brought ease and relieve to the to the employees, and an error-free backup record. One of the main duties of a night auditor includes the recording of all room charges. Before the introduction of the electronic system, this task was done manually. This requires all the charge folios to be collected from the cashier’s well and written with pencil on paper, with columns indicating room number, charges, tax charges, and folios from all hotel services used. Simultaneously, the night auditor has to add previous day’s folios in another column and indicate the new sum balance in the bottom. Thus the cumulative balance would be ready any time of the day for the departing guest. Posting room charges electronically is fast, easy, and trouble-free than manual room charges posting. Here, the employees don’t have to engage in the long and tiring task of collecting hundreds of folios from cashier’s bucket. Rather the PMS (Property Management System) completes whole task electronically. And all room rates, tax charges, and guest folios are stored in the memory; that can update each guest folio, and also print when needed. The best thing about this system is that it is error free, and have back up record. Well talking about back up record, tracking and checking of this back up is responsibility of night audit and must be done every day, as with all benefits of PMS system, this system may crash. 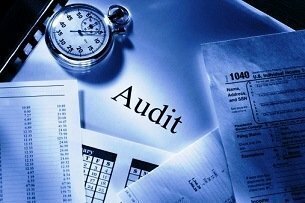 Revenue Verification is one of the major tasks of night auditing process. As in a full-time service hotel, a whole lot of folios are collected. In such full services hotels, dining room charges, phone call charges, bar charges, laundry charges, entertainment charges, and all other services provided by the hotel, are added to the folios. By the end of the day, thousands of guests folios are collected to be billed properly. The night auditor has to balance the audit, as every revenue generating department has the equal balance of debits and credits. So, the night auditor has to follow the simple mathematical rule that sum must be equal to the total of parts. The night auditor analyzes each department’s revenue. And the amount of all income generated by one particular department must be equal to the charges posted to the guest folios for the availability of that department’s services. For instance, in case of room service charges, sum of charges posted on the guests folios must be equal to the income earned by room service department for that day. When a hotel does some foreign currency transactions or business then, it is night auditor’s responsibility to analyze and check verification of foreign currency encashment certificates. All receipts of paid-outs and allowances are checked by the night auditor to see whether these receipts have proper authorization from concerning department or not. Electronic modifications have totally revolutionize the hotel business, and made life easier for the auditors. As in previous years, the night auditors were not only concerned about the collection of data but also correction of it. Now with computer literacy, here is not such activity of repairing, rather everything is done mechanically and without error. Night auditor has to analyze and then verify all the summarize data of hotel transactions and billings. Either with electronically compiled data or manually summarized day’s activities; the night auditor checks all day data at the end of the hotel day. During this night auditing process, POS (Point of Sale) terminals are closed for the time being, and no changes to the guest folios are made, as electronically handling of data will change the statistics if the system is not at the halt. At the end of every night, specific duties are done by the night auditor. Foremost, the room charges and tax charges are entered in the system, thus guest folios could be generated. This task helps the front desk next day as if any guest has to leave other than his specified departure time, thus in that case the front desk can generate the folio easily. Night auditor’s final summary of the closing balance mark as the opening balance of next day. Some of the most common reports presented by every hotel’s night auditor team are explained below. This report describes the availability of rooms, sold rooms with their number, type, and charges. It is important for the reservation manager to know number of departures, arrivals, cancellations, stay-overs, no-show, and rooms that are out of order or need housekeeping. Computerization of the reservation process has made things very easy, as instant confirmation is given to the client who is sitting miles away, with the detailed availability of the rooms and charges. This information is stored in the database, the night auditor cross checks and verifes this information and compile this data in a single sheet. This data can be stored in the soft form or can be printed in hard form to be used for the next day, in the form of the report. Thus this report serves for management and then as an operational tool. 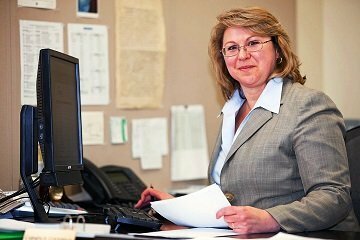 For the accounts department, night auditor report matters in both routine and special credit situations. Night auditor pre prints the guest folios, as to provide the guest with expected check-outs. As in case of guests, who wish to stay longer, the folios are still pre printed and presented to the guests after their one week stay. Other than folios, the night auditor also analyzes the account balance of the guest. A credit-Alert Report is made in which rooms with exceeded folio charges are listed. This value differs for each hotel for a single day. Simultaneously Cumulative Charge Report, which describes guest’s cumulative charges for the total stay is also presented. Prime job of night auditor is to focus on the accounts receivable. The night auditor basically holds all the data of accounts receivable from all day payments. The amount of accounts receivable is decreased with payments and increased when charged, and this process remains continuous through the day. All this compiled data of a day is the opening balance for the next day. From which amount owed to the hotel is calculated. Night auditor make many reports explaining the details of accounts receivables according to the category, including credit card report (holds sum of charges along with identities of credit cards for the day), late charge report (tells transfer of late charges in the city ledger for the day), and daily revenue report (compiled report of revenue from all revenue generating departments). Room revenue report identifies room rates with specific taxes posted to sold rooms of that day. The room charges and their revenue is different for each floor, so it is helpful to track record of room revenues of each day. It is also called as Occupancy Report. Charges that are posted late in the city ledger are entered in the late charge report. 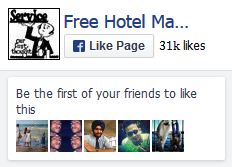 This report contains number of guests that check-in and check-out the hotel that day. This statistical data also helps to analyze accounts detail of hotel. Total number of rooms that are given to guest with no room charges are entered in this report. It is night auditor’s duty to verify these room numbers and the reason for their being given as complimentary. Mostly the rooms are given to any VIP person. This list is the must have for the front desk next day. As this report contains the list of each and every room with its status indicating which rooms is ready, vacant, out-of-order, occupied or on-charge. The night auditor remains in constant contact with the hotel engineer and housekeeping desk. And in case of rooms that cannot be sold due to any reason such, rooms under renovation, bathrooms with leaky shower, or any other problem, the night auditor enlists such room numbers with reason explaining why it can’t be sold and the action being taken to nullify the problem. This report indicated the rooms with guests who need particular assistance for being sick or distressed. Housekeeping must also be informed of this report for proper care. In this report, those guests who check in and occupy rooms during the night auditing timings are listed. Night auditor has to put any changes in room rates, guest rooms, or number of the guests in a party already residing in the hotel. These changes are categorized and entered as in the list, this record is called as Change report. This report identifies rooms occupied by the hotel personnel, with their respective post. This is more than a report as it serves as a back-up document and remains saved as in permanent record. This report contains all above mentioned reports which have been delivered through PMS system that day. One must possess degree level diploma, as a well-educated person can have an edge, in case of lack of experience. Previous experience is a plus, and that can vary from 6 months to 1 year depending upon the company’s requirements. Effective communication and services skills are very important. Because as a night auditor one has to be very vigilant and responsive in case of any emergency situations or guest complaints. In time contact with the concerning department such as housekeeping or security staff, while keeping the nerves at calm is very important for a night auditor. So, the applicant would be checked for these qualities. Excellent organizational skills and multi-tasking are required for night auditor’s job, as the night auditor has to handle different tasks at a single time, such phone answering, taking guest complaints, making reports for the day, etc. Before applying for the post of night auditor, try engaging yourself in different departments of hotel. That will increase your work experience, as well as your insight about how the work is done in different departments at different times of a day. One might start working as in valet or bellhop, or manage the desk. These duties like room attendant, or room service provider help to build up knowledge and customer’s requirements for the hotel services. For a person who likes to work at night, he should first make his way to that point and gain experience, then look into the night auditor position when available. Your expertise in mathematics must be very well as night auditor has to do a lot of maths. Night auditor job is a combination of management, accounting, customer service skills, auditing and reporting. Having all the required qualification and needed experience, the candidates have to pass through a drug test plus a clean criminal record. All in all night auditor job is really an interesting job, especially for those who have passion about hotel industry and love to work at night. Night auditor holds most important duties which are required to run hotel next day. As, the reports generated by the night auditor like credit reports, reservation reports, accounts receivables, transactions reports, and revenue reports are all needed to start next day, and all the night auditor’s provided reports are gone through next day, whenever needed. Most importantly, these reports are helpful for the management to make new policies. So, night auditor job’s is full of responsibility, passion and need complete concentration. Previous articleSo you Want to Be a Chef?